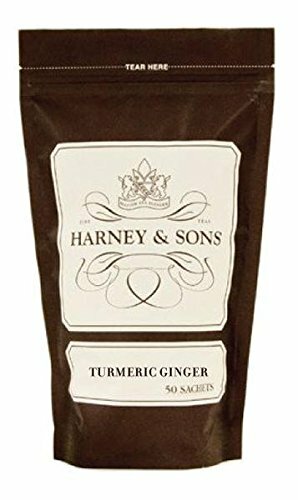 Turmeric & Ginger Tea comes from the best part of the Earth to fuel the best days of your life. Organic apple, ginger, beetroot and lemongrass add depth and brightness to this aromatic, golden tea. Revel in the powerful natural properties of ginger and turmeric combined. Enjoy its flavor and fragrance every day - it's an island of calm in a cup. If you have any questions about this product by Harney & Sons, contact us by completing and submitting the form below. If you are looking for a specif part number, please include it with your message.